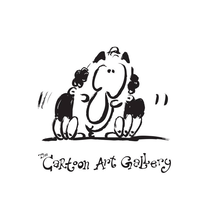 The Cartoon Art Gallery is the first gallery in the Middle East specifically for the art of cartooning and animation. Located near Zabeel Studio, the gallery is striving to be the place for independent artists of the region and internationally to showcase their cartoon creations and more. We are here to serve the community with unique exhibits and artistic and creative programs. The gallery is open to exhibits related to animation, cartoons, comics, caricatures, illustrations, concept art, and children book illustration and other forms of Art. The best aspect what the gallery offers is that one feeling welcome always, the casual and cool ambiance, finding resources related to art, feeling of belonging and trust and of course a great space and a friendly team.